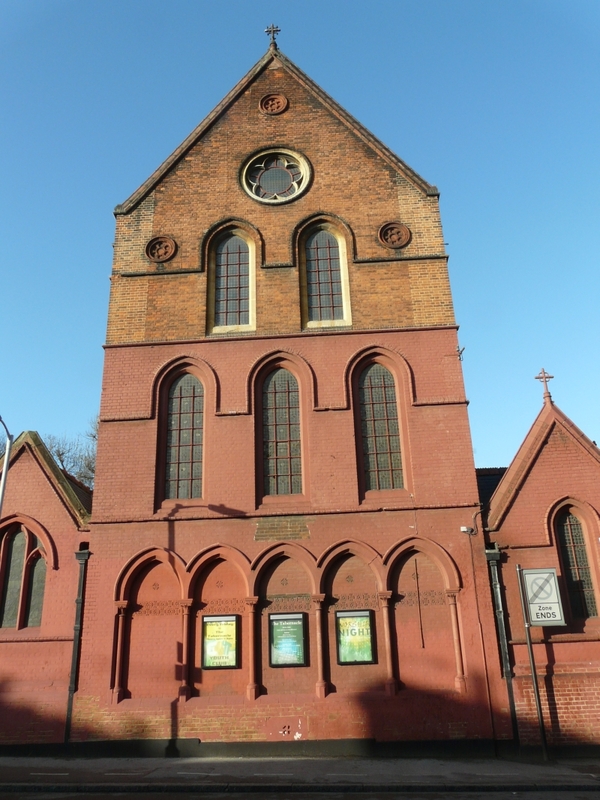 No longer in use by the Church of England, since 2003 it is has been used by an evangelical church as “The Tabernacle”. 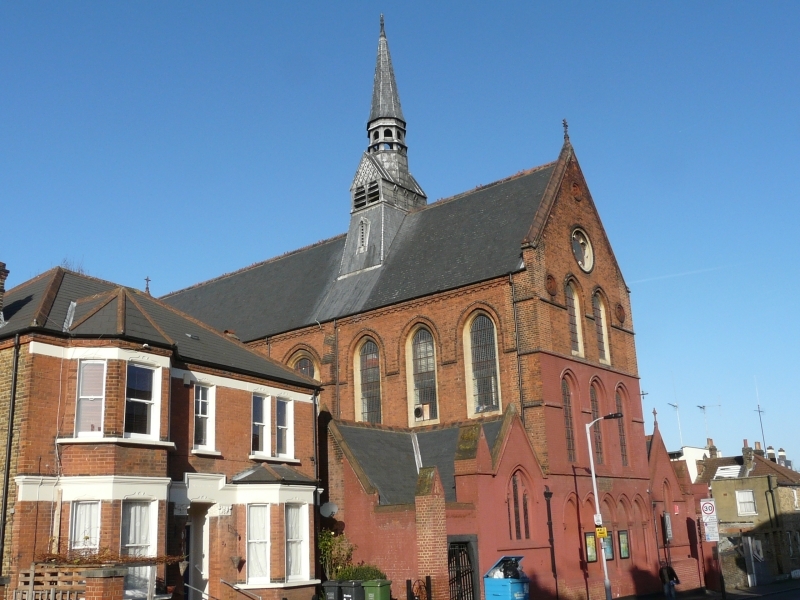 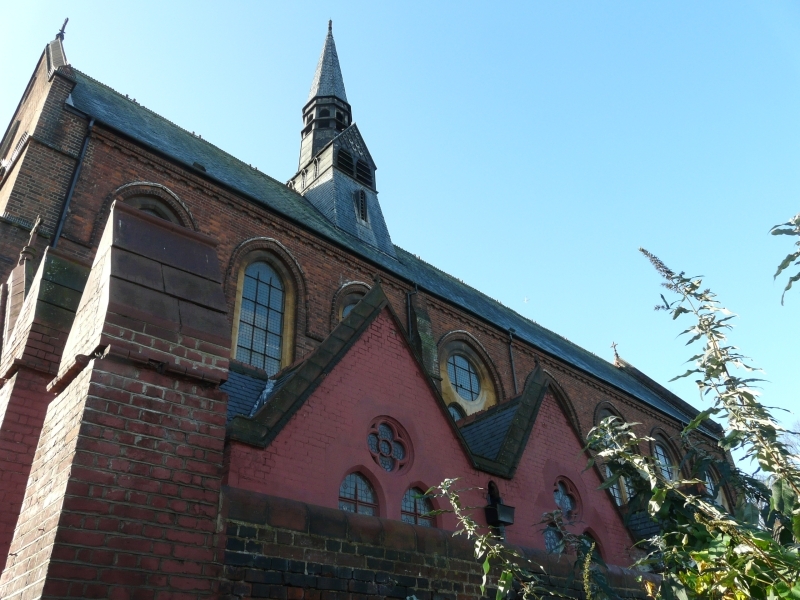 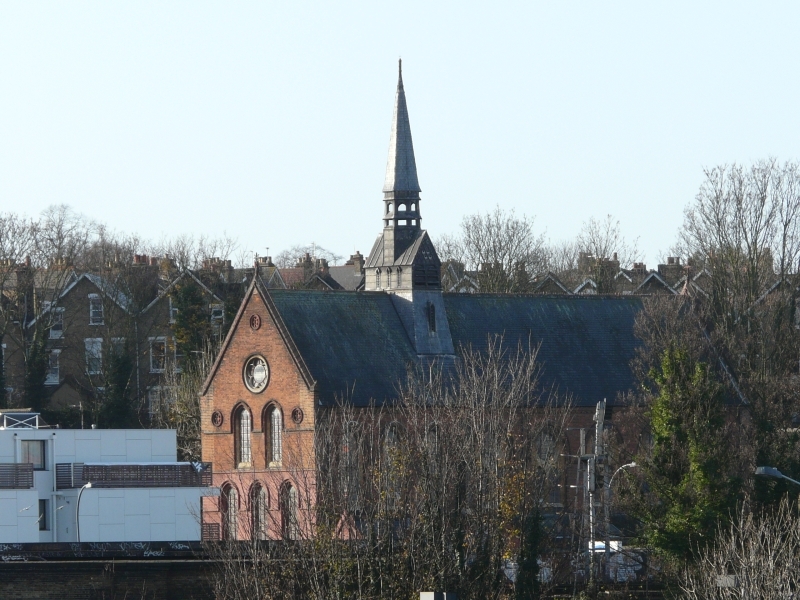 It is one of James Brooks’ large brick built churches for poor areas and was built in 1881. 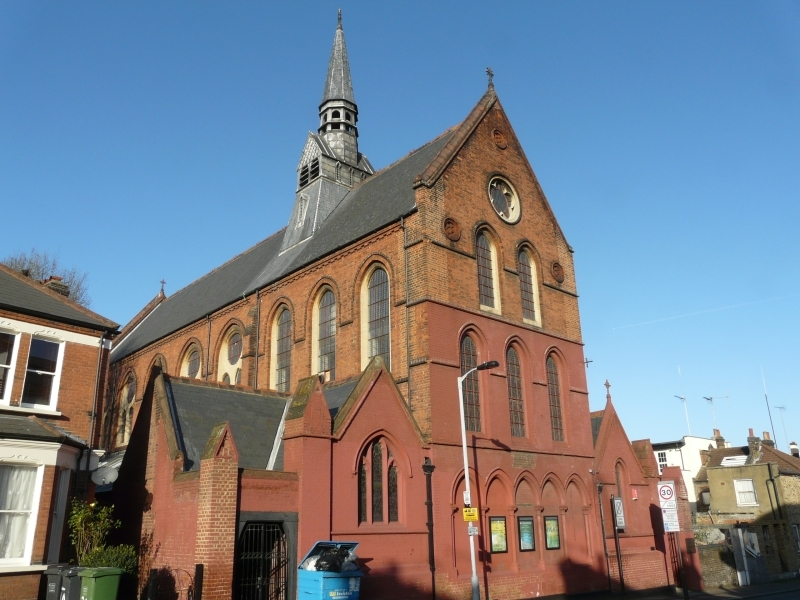 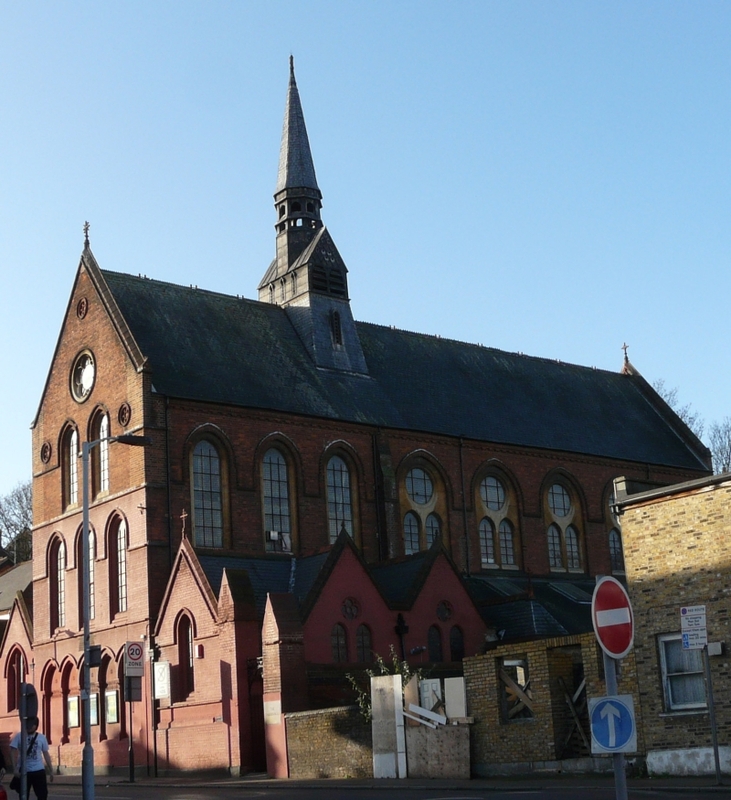 It was originally dedicated as Church of the Transfiguration but was renamed in the early 1940s when it became a “St Barnabas church for the deaf and dumb”. 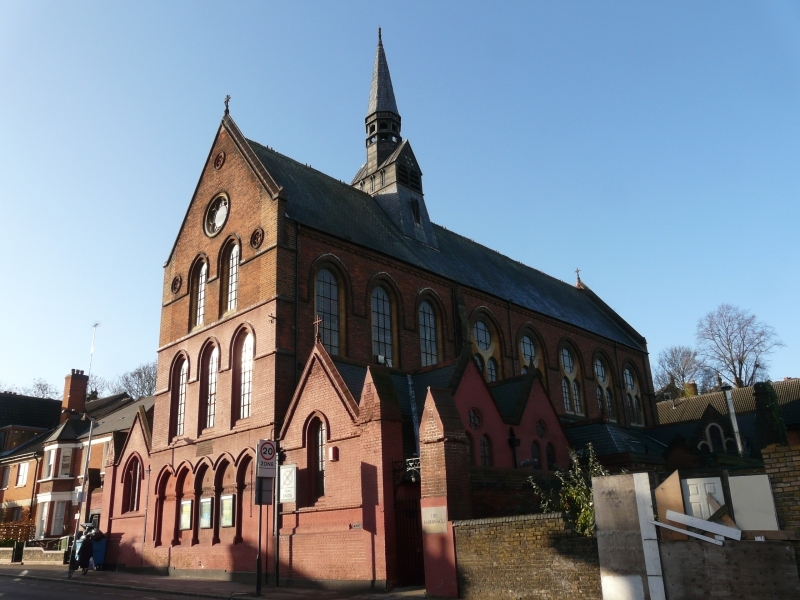 By zoothorn in Brooks, James, Lewisham, London Borough of Lewisham on February 3, 2013 .